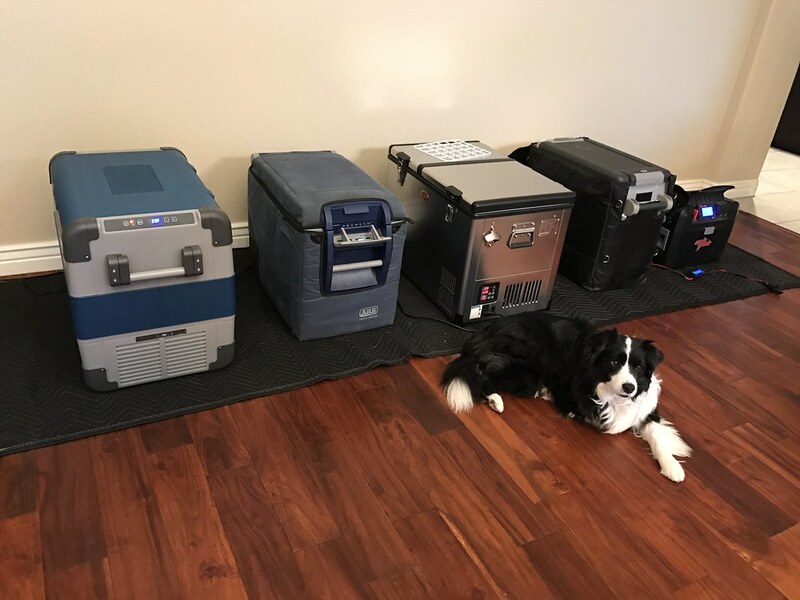 Dog not included - Pictured the Dometic CFX-65DZ, ARB 50, SnoMaster USA 60D, Indel B 51, and the ArkPak 715 we used to power and test each fridge with. There are a number of new refrigerators on the market so we wanted to take the opportunity to preview them and do some testing. A friend of 4XOA let us borrow his SnoMaster USA 60D Classic. This is a true dual zone fridge/freezer with 2 unique compartments. We also put our Indel B 51/Truckfridge through the testing cycles. Turtleback Trailers was nice enough to let us test a new Dometic CFX65DZ dual zone fridge freezer along with an ARB 50. Pros and cons for each product are listed. There are many other comprehensive reviews out there. This is just our take on things. Based on owning an ARB 37 and the Indel B 51 I personally am always trying to find the “Perfect fridge.” Everyone has unique requirements depending on the length of trips, group size, type of food you like to keep etc. We set up a simple lab indoors in a climate controlled room. The average temp was around 70 degrees Fahrenheit. All of the refrigerators were pre-cooled with items in them before any testing began. We ran them off of our ArkPak with a 55ah battery. In most cases, we were not concerned with voltage drop and only wanted to test power consumption. So while the fridges were running off of 12 volts the ArkPak was plugged into AC power to keep it topped up. Remember that just because your vehicle starts after running a fridge for a period of time does not mean you are not prematurely killing your battery. See the graph below on battery voltage reading vs percentage left. Performance numbers can vary greatly depending on where your fridge is located, the temperature inside, how you packed your fridge and if you pre-cooled the items. This is a good baseline test and the easiest way to test a group of refrigerators all at once. In summary, you really don’t want your battery dropping below 12.1 if you want to extend its life. Make sure there is room around the ventilation ports of at least 2-3”. USE SOLAR to supplement your power needs. A basic 100watt solar suitcase is around $250.00. This will greatly prolong the life of your battery(s) and make sure you have enough power to start your vehicle in the morning. The good news is all of the fridge/freezers we tested have voltage cutoffs. I currently own a Renogy 100 Watt Suitcase and love it. 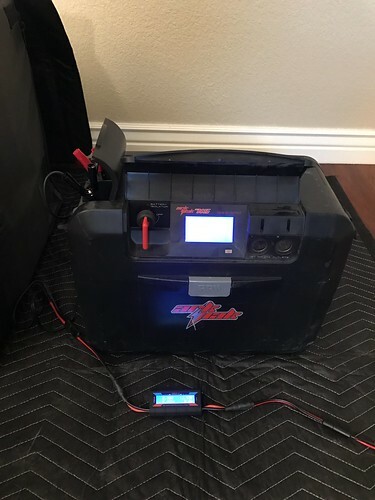 Other than being a bit bulky a 100 watt setup can keep my vehicle battery and 2 trailer batteries charged up.